The Oregon Ducks snapped a two-game losing streak with a road win at Arizona. Hebard was 9 for 10 from the field and led the team with 22 points pushing four players in double figures. Sabrina Ionescu struggled from the field and had just 5 points, but good players find ways to make plays. Hebard had a double-double. The Freshman had a team-high 7 assists. 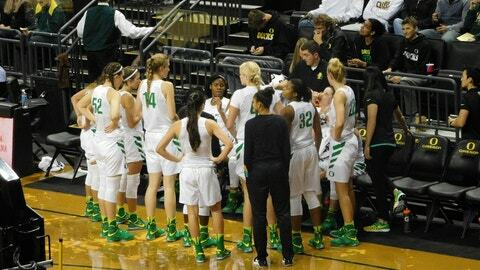 Oregon had 6 steals and 18 assists as a team in the 79-65 win over the Arizona Wildcats. Maite Cazorla is beginning to show better instincts coming off a foot injury. She had 12 points. Lexi Bando had 16 points in the win, but was just 2 for 8 from beyond the arc. Wins at this point in the season build confidence, especially road games. The goal is to get toward the Top 6 of the Pac-12 Standings, and winnable games are to be built on. The second game this weekend is another winnable contest against the Arizona State Sundevils.